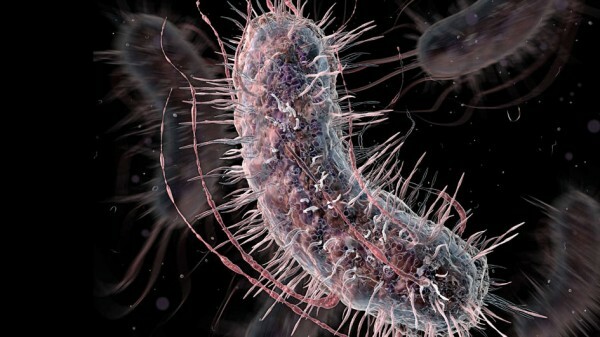 bodies harbors trillions of microbes, most of them beneficial or benign. Now, you can add two new friendlies to the list. This week, two groups of synthetic biologists seeking to repurpose living microbes for human benefit report genetically modifying bacteria to detect cancer in mice and diabetes in humans. radiation and chemotherapy, the approach fell out of favor. to secrete toxins inside tumors, for example. A couple of these therapies have even made it into clinical trials, though none have been approved yet. would produce a luminescent signal with a simple urine test. occurring enzyme called LacZ when they encountered a tumor. Next, the researchers injected mice with compounds that were precursors for light emitters. These were two-part molecules made up of a sugar linked to luciferin, a luminescent molecule. When bound together, the pair doesn't emit light, but LacZ acts like a pair of scissors that cuts the two apart. So, in mice that had liver cancer populated by E.
coli, the LacZ produced by the microbes released the luminescent compound, which was then excreted in the animals' urine, turning those samples from yellow to red. able to flag tumors as small as 1 square millimeter. patients. 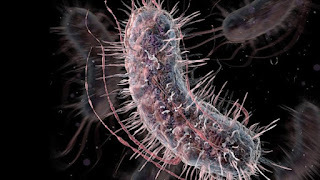 The researchers added genetic circuitry to the bacteria so that they produced a large amount of a red fluorescent protein once the concentration of glucose in their surroundings reached a certain level. In this case, however, the team's strain of E. coli wasn't injected into people first, rather simply added to urine samples, where they produced a color change. For now, this approach isn't any better than a standard glucose meter. But because the detection scheme can be repurposed to detect other targets, it could serve as a platform for a broad array of future diagnostics.